Sporting memorabilia features ancient rugby balls, an original ‘death cart’ used to trundle away injured players, and the very first ‘caps’ from the game’s beginnings. Rugby enthusiasts just can’t wait for a glimpse of The Close, the ground on which the sport was first played with William Webb Ellis’s fine disregard for the rules of football in 1823. For the first time in Rugby School’s history, girls who are captains of the major sports are to be awarded caps. Millie Richards, Captain of Hockey, and Kate Broad, Captain of Netball, have become the first girls to receive caps since the School was founded in 1567. Traditionally caps have been awarded to rugby football players who have played for the XV or who have their second XV colours. 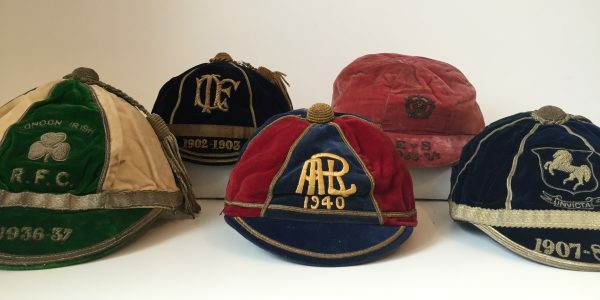 In the 40th year of girls at Rugby School, the policy has been adopted of awarding caps to the captains of the major sports.